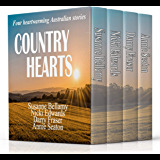 As Australian rural romantic suspense stories go, this one is a corker and had me on the edge of my seat from the start. It’s the third in author Juanita Kees’ Wongan Creek series but the first one of this series that I’ve read. That didn’t make it difficult to follow the story though The other two books would certainly help set the scene, however and having read and enjoyed this story I’ll be adding them to my reading pile. This story builds the suspense on several levels. Externally there is the increasing threat to heroine Fenella and her adopted mum Liv as members of the Beyond Hell’s Reach motorcycle gang punish her for reporting her ex-boyfriend’s criminal activities. Internally both Fenella and her teenage best friend Kieren, who is newly returned to Wongan Creek, have to face ghosts from their past while trying to help Kieren’s son Liam recover from the drowning death of his mother. The danger facing them and the awful things that keep happening are hard to imagine yet perfectly plausible. The characters in this story are well developed and so easy to care about. The combination of these elements with a well structured plot make this a thoroughly entertaining story. Loved it! I've read all the Wongan Creek stories and I think this is my favourite so far. I loved Fenella and Kieran as the main characters, but the supporting cast (including a gorgeous bearded dragon) are what really made the book for me. It's about a second chance at romance, but it is also about these two characters from such troubled backgrounds as children, making a second chance at living life right. As usual, Juanita Kees writes with huge empathy and insight into modern issues, and the suspense line flows through this story, keeping everyone you've come to care for on their toes. Another great episode in a lovely rural romantic suspense series. Another great story from Juanita Kees. She never lets us down and keep the story interesting right to the end. Couldn't put the book down. Well done Juanita. 5.0 out of 5 starsMarvelous story of the good guys winning in the end. Everything I have read by Juanita Kees is beautifully written with strong characters under a heavy emotional load. 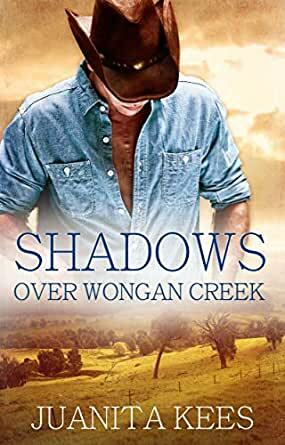 Shadows over Wongan Creek, book 3 in the Wongan Creek, Australian Series certainly fits that bill. Survivors of the child care foster system, Fenella and Kieran are reunited after 10 years. Close friends years ago, this is a story of past unrequited love now a second chances at happiness. Both main characters have had a difficult time, but it is Fenella’s difficulty that becomes very dangerous too. The author does a marvelous job with the character development. I was pulled into the story, understanding how a childhood trauma causes such great problems for the person as they grow up. Hope is given as Fenella overcomes so much thanks to the love of her new family. The story does not stop there but has the past coming back to hurt Fenella and those she loves. Boldly she stands, even while afraid, against the wicked; what a wonderful tough, resilient woman! I have come to love this unique Wangan Creek community of tough, staunch characters, appreciating that they do not shy away from doing the necessary if hard things in life. Kieran was right to bring his son back to this town. I really appreciated that biker gangs were shown in their true light, not some kind of romantic version. Criminal, illegal and aggressive behavior should never be seen as anything but the evil that it is. This is my kind of story. Juanita Kees is my kind of author. John Wayne would definitely approve. Highly recommend Shadows Over Wongan Creek which reads well as a stand-alone. 5.0 out of 5 starsGritty romantic suspense! When Kieran and his four-year-old son Liam arrived at Wongan Creek, his job at the winery as manager was assured. The Cranky Lizard winery had been scammed by a person Fenella had trusted – the guilt she felt was deep. But her mum Liv, was on her side, knowing Fen had been scammed as well – but the darkness of the past was about to rise up and surround Fen once again. Fen and Kieran had been best mates, supporting each other, when they were young, broken and alone. Now, many years later, both had moved on but the past was never far away. Fen’s memories of a time when she was seven years old were fractured; there were events she didn’t want to remember. But the nightmares were ever present. What was going to happen? The danger Fen sensed had her worried for Liv, for Liam and Kieran – would it ever stop? Shadows Over Wongan Creek is the 3rd in the Wongan Creek series by Aussie author Juanita Kees and it was great to catch up with Travis and Heather (book 1) and Tameka and Harley (book 2) as well as become involved in Fen and Kieran’s lives. The suspense ripples through this book, intense and breathtaking – some very nasty characters here – along with heartbreak and poignancy. An enjoyable rural romantic suspense, and I look forward to #4. Highly recommended.